In the past year, Connecticut’s minimum wage has been a regular topic of debate. As of now, there’s no plan to increase it, but if you’re a small business owner, it’s important to make sure you’re in the know on current regulations and potential changes so you can plan accordingly. To make sure you’re up to date, we’ve prepared a guide with must-know details on the minimum wage in Connecticut. The minimum wage in Connecticut is $10.10, which is $2.85 higher than the federal minimum wage of $7.25. The minimum wage last increased in 2017, when it was raised by $0.50 from $9.60. Tipped employees. Employers can take a tip credit for employees, and unlike federal law, Connecticut does not specify a minimum amount of tips to be classified as a “tipped employee.” With a tip credit, employers can pay a lower minimum cash wage, which varies based on employee type. For bartenders, employers must pay a minimum cash wage of $8.23, and the maximum tip credit allowed is 18.5 percent of the applicable minimum wage. For hotel and restaurant employees, employers must pay a minimum cash wage of $6.38, and the maximum tip credit allowed is 36.8 percent of the applicable minimum wage. Minors under the age of 18, who can be paid 85 percent of the Connecticut minimum wage. Minors working at farms or for the government can be paid this rate indefinitely. For minors employed elsewhere, they can be paid this rate only for their first 200 hours of employment. Employees considered exempt under the Fair Labor Standards Act (FLSA). Keep in mind that some counties, cities, and towns may have their own minimum wage laws. Be sure to check what local wage laws may apply to you. 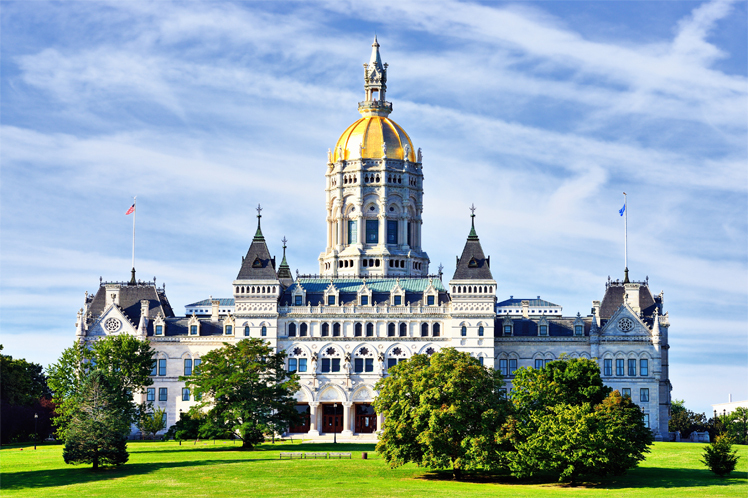 Although the minimum wage is increasing in four of the six New England states this year, Connecticut does not have a minimum wage increase scheduled for 2019. Not currently, but many lawmakers and the newly elected governor are proponents of a minimum wage increase. During last year’s legislative session, lawmakers proposed a bill that would’ve raised the minimum wage to $15 by 2021, but ultimately the bill was not approved. However, with Governor Ned Lamont taking office in January 2019, and Democrats in control of the state legislature, a minimum wage increase could happen. Reevaluate your staffing plan: Review your monthly sales and overhead costs to see if your current staffing levels are appropriate. Depending on your business model, it may make sense to reduce full-time staff throughout the year, and hire contract employees during your busy seasons. Hire the right people: The hiring process is time-consuming and expensive. By following best hiring practices, you have a better chance of finding the right fit the first time around, which saves you money in the long run. Once you have your team in place, invest in your employees to keep them engaged. Upgrade your technology: Save time and money by streamlining tedious tasks, such as payroll. This frees up time to focus on issues like staffing and growing your business. While these are helpful guidelines to follow, to make sure your business is prepared and stays in compliance, you should discuss Connecticut’s minimum wage laws with your accountant and lawyer.